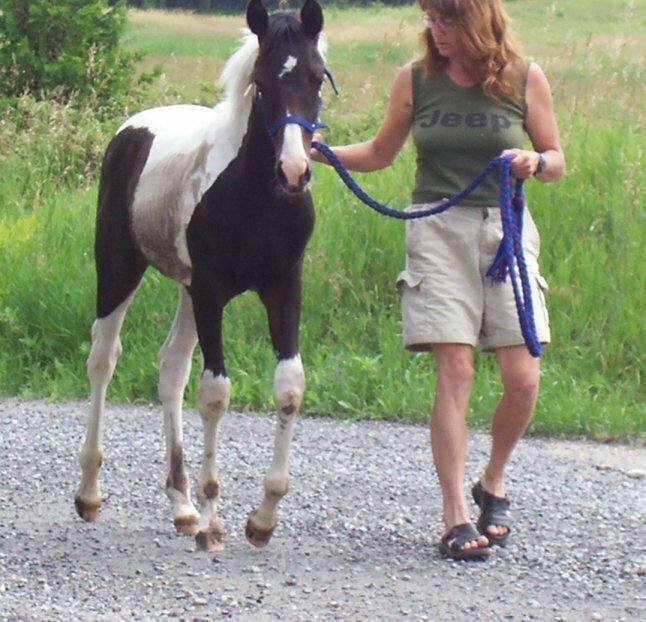 On Jan 31/07 we had a flashy, tri colour, part arabian colt born. He is a handsome, brave, friendly and willing lad who will be double registered in the Arabian and Pinto registries. His dam is a purebred, homozygous black, halter winning mare imported from the states. 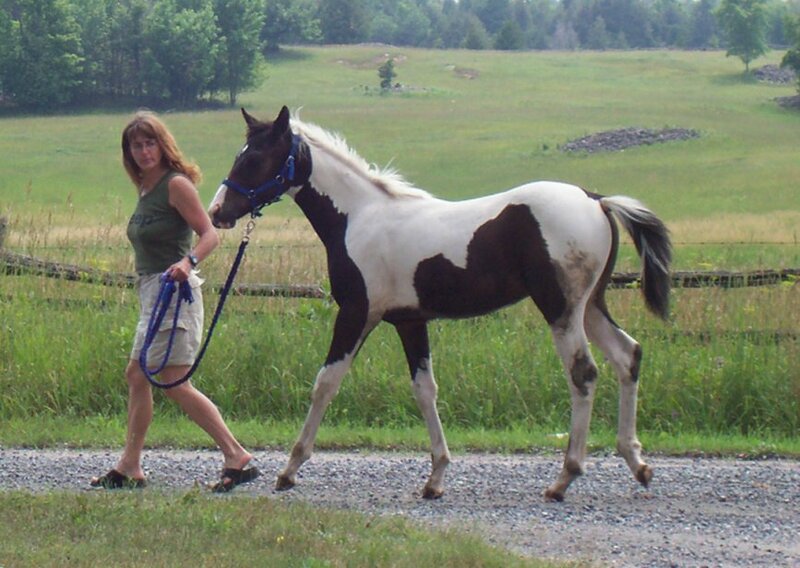 His sire is a gorgeous, Pinto Arabian Cross stallion. Both parents can be seen on site. The fact that the sire watched over the delivery of his son, lives in the same pastures/barn and partakes in his son's care is a testament to his good nature.This is a very good deal folks as these coloured arab crosses often go for $3000 and up and this is a very nice colt. The low price is to ensure his sale as we have 3 stalls and 3 horses. A $100 non refundable deposit will secure this flashy, friendly boy and payments are acceptable.